The Baltic power grids' planned island mode operation test was put off because of the risk of the same test in Russia's Baltic Sea exclave of Kaliningrad being unsuccessful, Estonia's transmission system operator (TSO), which initiated the postponement, said LETA/BNS. "Postponing the test of the Baltic states' electrical system in island mode certainly does not mean slowing down or suspending the preparations connected to the test," Elering CEO Taavi Veskimagi said. "On the contrary, we are continuing intensive efforts on the network development, system administration and market organization front and will also continue discussions for agreeing on a new time for the test with our Latvian and Lithuanian colleagues," he added. Elering and Latvia's AST announced on Tuesday an indefinite postponement of the test scheduled for June 8 or 29. "The Kaliningrad test is planned to last 72 hours and considering that such a large-scale test has not been carried out before, there is a significant likelihood that it will not be successful, which will in turn result in a demand from the Russian TSO to postpone the Baltic states' isolation test immediately before the planned dates," Veskimagi said. "Elering certainly does not consider it possible to hold the Baltic isolation test unilaterally without an agreement with the Russian and Belarusian TSOs," the CEO said, adding that the goal is to "achieve the desynchronization of the Baltic electrical system from Russia through reasonable cooperation, not confrontation, which unilateral action would lead to". "In order to conduct the Baltic states' isolated operation test, we must guarantee additional production capacities and since Russia has said earlier that they wouldn't be able to consent to the Baltic states' isolated operation test should the Kaliningrad test prove unsuccessful, we may find ourselves in a situation where we have already made significant expenditures on production capacity but are unable to carry out the test. It wouldn’t be possible to justify such an expense," he said. The test would involve completely disconnecting the Lithuanian, Latvian and Estonian systems for the post-Soviet BRELL ring, which is controlled from Moscow, for 12 hours. The Baltic systems would operate in the so-called "island mode", but will remain connected to Scandinavia and Poland via direct-current links, Elering said. 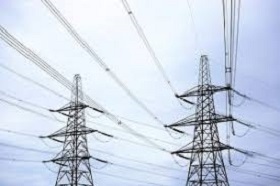 "To accomplish the disconnection from the Russian grid, all nine electrical lines that link the Baltic states with the bulk of Russian territory and Belarus would be switched off, one by one," it said. Lithuania's TSO Litgrid said on Tuesday that a new date would be sought for the Baltic test.